Dave Ferrin began potting over 30 years ago in the 60’s when he was in high school. In the 70’s as the lab tech for the Grossman College Ceramics Studio, he experimented with mixing glazes ad raku firing. In 1973 Dave worked as the manager of Stoneware’N Stuff, a production and retail studio. He taught ceramics at Yavapoi College and Prescott College. 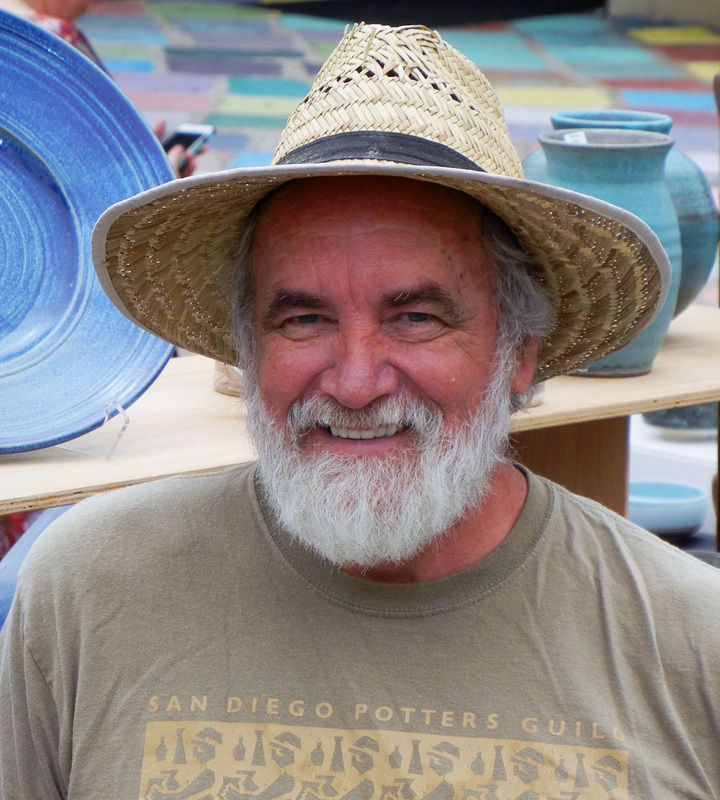 Dave established his own company, Stoneriver Pottery, in 1978. He sold wholesale at the LA Gift Show and the Beckman Gift Show. He also sold retail at the Harvest Festivals and Steve Powers Craft Sales. Today, Dave works at his home studio and sells rice crocks to health food companies and makes functional decorative pieces.